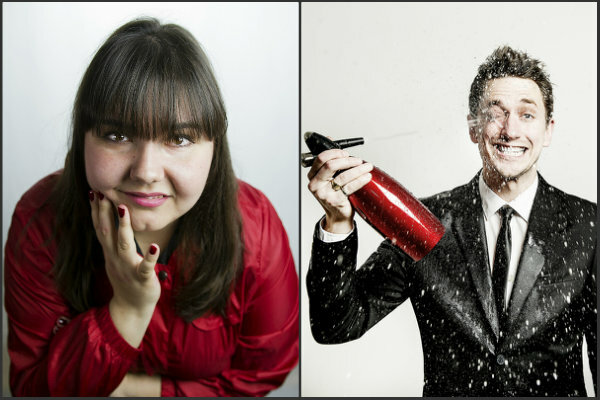 A double-bill of work-in-progress comedy shows for the Edinburgh Festival Fringe by two of Laugh Out London’s favourite comedians JOHN ROBINS and SOFIE HAGEN. All new show from comedian, firebrand, sometime DJ and all-time vibe magnet. A festival favourite returns after critically acclaimed, sell-out shows in 2013 and 2014. One half of The Elis James and John Robins Show on XFM. Heard on The News Quiz (Radio 4) Seen on Russell Howard’s Stand-Up Central (Comedy Central), Alan Davis: As Yet Untitled (Dave). ‘Humane, interesting and consistently funny’ **** (Independent). ‘Hugely entertaining’ ***** (Mirror). ‘Comedy in its rawest form: one man, one microphone, one fantastically funny show’ ***** (ThreeWeeks). ‘Perfectly crafted, intelligently put, cynically hilarious…a sublimely entertaining show’ (BroadwayBaby.com). Chortle Award winner. Sofie Hagen has taken the UK by storm in just the few months she has resided on our sunny shores. 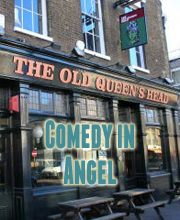 Time Out has already declared her ‘One to watch’ and Chortle named her Best Newcomer at their 2014 awards. She also won the Laughing Horse New Act of the Year 2013, establishing her as a comedian who is “destined for great things”.